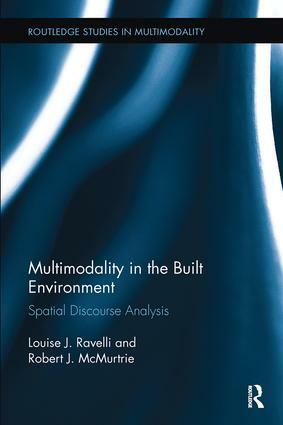 This book provides an extended exploration of the multimodal analysis of spatial (three-dimensional) texts of the built environment, culminating in a holistic approach termed Spatial Discourse Analysis (SpDA). Based on existing frameworks of multimodal analysis, this book applies, adapts, and extends these frameworks to spatial texts. The authors argue that choices in spatial design create meanings about what we perceive and how we can or should behave within spatial texts, influence how we feel in and about those spaces, and enable these texts to function as coherent wholes. Importantly, a spatial text, once built, is also a resource which is then used, and an essential aspect of understanding these texts is to consider what users themselves contribute to the meaning potential of these texts. The book takes the metafunctional approach familiar from Systemic-Functional Linguistics (SFL) and foregrounds each metafunction in turn (textual, interpersonal, experiential, and logical), in relation to the detailed analysis of a particular spatial text. Louise J. Ravelli is Associate Professor of Media and Communication at the University of New South Wales, Australia. Robert J. McMurtrie is a PhD from the University of New South Wales, Australia, in Multimodality and Spatiogrammatics.